Antwerp, Belgium’s Diamond District, also known as the ‘Diamond Quarter’ (Diamantkwartier), is the diamond capital of the world. Approximately one square mile in the four block district consists of diamond cutting workshops, diamond dealers, merchants and brokers. 80% of the world’s rough diamonds, 50% of the cut diamonds and 45% of industrial diamonds pass through the district. An ancient city and the third largest port in the world, Antwerp has been a diamond capital since the 16th century. Today, more than 30,000 people are employed in the diamond industry. This makes it the largest diamond center in the world with a turnover of over 54 billion dollars. At least $16 billion in polished diamonds pass through the district’s exchanges each year. There are 380 workshops that serve 1,500 companies. There are also 3,500 brokers, merchants & diamond cutters. NYC Wholesale Diamonds proudly imports all of our diamonds directly from the Antwerp auctions, bypassing all middlemen and brokers. This allows us to offer true wholesale prices at very significant savings to our customers. 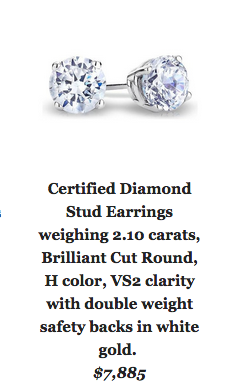 These are the absolute finest quality, most ideal cut diamonds in the world! This had to be one of the best years for jewelry ever on the Oscars Red Carpet. Bold earrings and sparking ear cuffs turned out to be just the opening act for the big bold statement necklaces that followed. Early on it appeared that Margot Robbie was going to be the highlight of the jewelry show wearing a Van Cleef & Arpels “Zip Antique Colombine” emerald necklace featuring diamonds and sapphires set in 18k yellow gold. The zipper is fully functional. But it turned out that Robbie was going to be joined by a parade of others wearing a variety of statement necklaces. Scarlett Johansson pretty much stunned everyone and also caused me (as well as others I’m sure) some embarrassment with a large bib necklace that I thought was emerald but is now being reported at numerous places as a Swarovski crystal embroidered collar. Precious or not it was one the big statement pieces on the red carpet. She matched the necklace with Piaget Mediterranean Garden ear cuff set in 18k pink gold with five pear-shaped emeralds, 278 brilliant-cut diamonds, four pear-shaped aquamarines and two pear-shaped green tourmalines. Lupita Nyong’o may have out-done everybody with a white Calvin Klein gown adorned with approximately 6,000 white pearls, which were reportedly a mix of fake and real. Anna Kendrick wore a diamond collar of five rows matched with marquis and pear-shaped diamond cluster earrings totaling 13 carats, reportedly by Norman Silverman. The necklace was tucked into the neckline of her gown. Cate Blanchett went with a multi-row turquoise necklace by Tiffany & Co.
February’s purple birthstone has been found among the possessions of royalty throughout the ages. 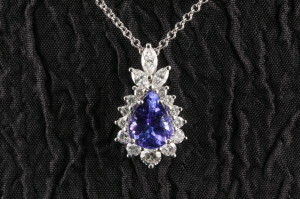 The intense violet hue of Amethyst appealed to early monarchs, perhaps because they often wore this color. Amethyst has been found in ruins dating as far back as the ninth century, adorning crowns, scepters, jewelry, and breastplates worn into battle. The Greeks believed amethyst gems could prevent intoxication, while medieval European soldiers wore amethyst amulets as protection in battle in the belief that amethysts heal people and keep them cool-headed. 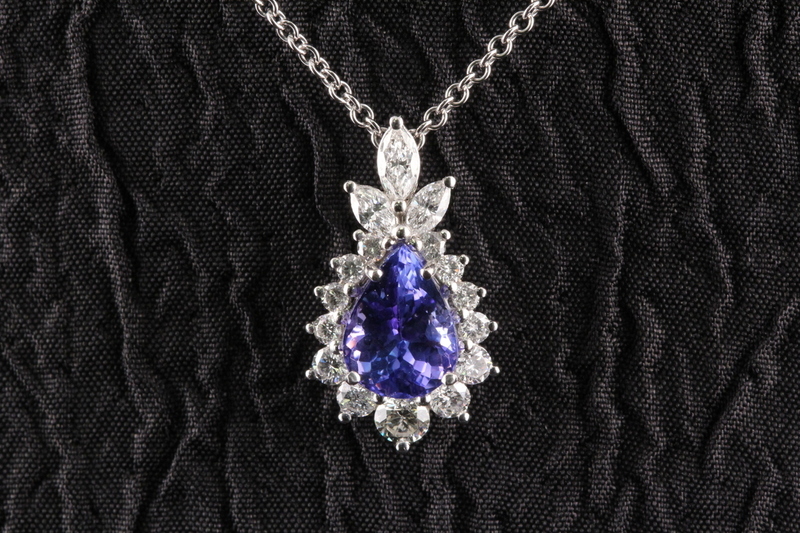 A large Amethyst is among the closely guarded gemstones in the British Crown Jewels. Amethyst is also symbolic of spirituality. Once considered more valuable than diamonds, Amethyst is a member of the quartz family, occurring naturally as crystals within rocks. Deposits of this gemstone are found in Brazil, Canada, Australia, India, Madagascar, Namibia, Russia, Sri Lanka; and in the United States. 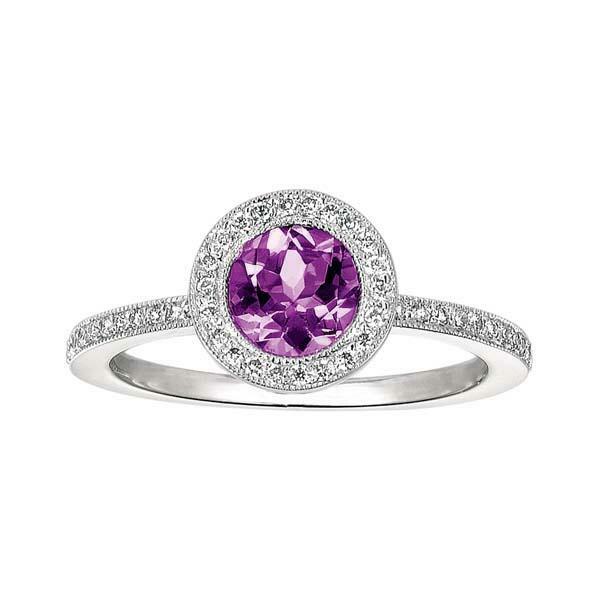 The gift of Amethyst is symbolic of protection and the power to overcome difficulty. 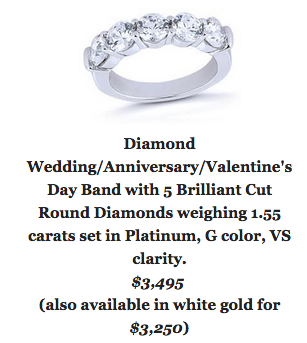 It is said to strengthen the bond in a love relationship, so it is an ideal anniversary or engagement gem. Whether or not Amethyst holds such power, it’s stunning beauty will certainly make anyone who wears it feel like royalty! There is a new trend in modern jewelry design. It involves the world’s favorite gem, which, of course, is diamonds.Although diamonds have always been known as a woman’s best friend, now diamond rings are becoming very popular in the men’s fashion marketplace. For more than one reason, diamond rings for men are seen as a status symbol and smart investment for the savvy men of today’s generation. Despite a troubling economy, the price of diamonds has continually escalated throughout the past decade. As people lose confidence in other types of investments, such as the stock market or real estate industry, more and more investors are waking up to the value of diamonds. 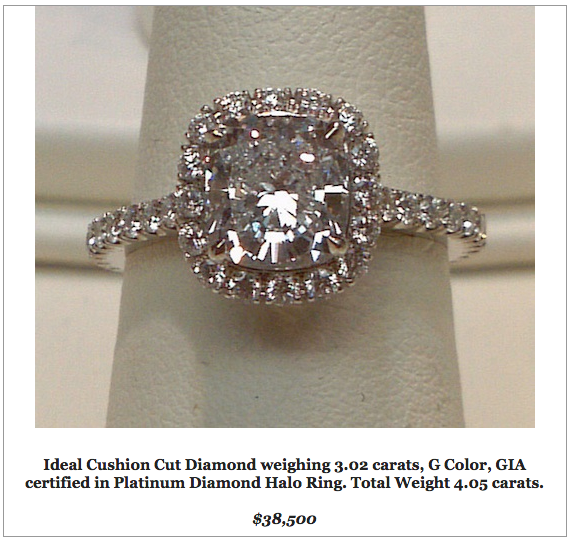 Men’s diamond rings are worth something and will never depreciate. Aside from the fact that diamonds give an aura of sophistication, men’s diamond rings also carry a significant status symbol. Aside from being used merely as a men’s wedding ring, a men’s diamond ring can be worn on many other fingers. Even unmarried bachelors can create a classy and fashionable sense by wearing a diamond ring. Some men prefer a diamond pinky ring, or a right-hand ring with chunky styles encrusted with diamonds. Bling, bling! Men’s diamond rings work well to attract women, partly because they portray a sense of dignity, business-mindedness and self-appreciation. Women see a man who wears a diamond ring to be masculine and successful. He is a true gem, so to speak.Single guys who may be looking for classier women to date should certainly consider wearing a men’s diamond ring. Some men also wear a men’s diamond band in lieu of an engagement ring. Why should the ladies have all the fun? Men these days are proud to let it be known their heart is already engaged, so another new trend on the jewelry scene is in the form men’s engagement rings or diamond wedding rings for men. Instead of a traditional plain band, men prefer something sporty or flashy. Young and old, men alike are wearing men’s diamond rings to boost confidence and to complement the men’s fashions of today. Diamonds are a perfect accessory. 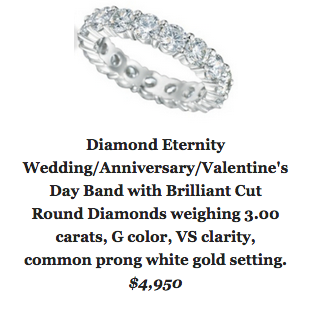 Men’s diamond bands can be set in many different metals besides gold. Platinum, ceramic, zirconium and titanium materials can give a men’s diamond band a unique look, in comparison to traditional gold. Although gold has always been the most popular, there are many newer options to provide a greater variety for men than ever before. Men can jump on the diamond men’s ring bandwagon and get a handsome ring for themselves. These diverse opportunities are sure to be new classics in the making. An unconscious, drunken slob slouches in his embroidered chair, his golden chalice toppled onto the floor. He is overweight, overdressed, resplendent. A one-quarter life-size figure of King Louis XVI, skillfully crafted by George Stuart, is just one of 18 historic figures currently featured in his exhibit at The Mini Time Machine Museum of Miniatures, titled “Diamonds are Forever: The Incredible Journeys of World-Famous Diamonds & the People Who Owned Them”. The exhibit begins in the Golden Age of India, where each displayed diamond was mined before passing through the hands of history. Louis XVI’s place in the collection is based on his status as one among few to claim possession of what is believed to be the Hope Diamond, currently stored in the Smithsonian National Museum of Natural History. Other famed diamond owners in the exhibit include Napoleon Bonaparte, Marie Antoinette, Marie de Midici, Frederic the Great, Prince Albert and Queen Victoria, all attired in replicas of their clothing. Louis XVI’s lethargic pose is an example of Stuart taking artistic license to reflect the French monarch’s personality, adding a humorously unexpected, regal twist. Scott Sucher recreated each diamond to coordinate with Stuart’s historic figures for the Museum of Ventura County. Each recreation is made from cubic zirconia after years of research into the evolving cut, quality, name and owner of each gem. The cut and use of each diamond was altered according to a country’s preference. India preferred a flatter cut to showcase clarity and weight. An ostentatious size and style of diamonds were commonly associated with European tastes. After cutting each recreation into the precise dimensions of the original, Sucher duplicates this process to scale the diamond down to one-quarter of the original size. The quarter-size replica is fastened into the jewelry, headpiece, scepter or clothing of the figures, depending on the evidence of how each used the diamond. To call these figures dolls understates the significant effort and research done to achieve the figures’ historical accuracy. Their handcrafted lace, metalwork and meticulous facial expressions truly make them into works of art. “Each stone has a story giving its history and travels that it went through and the various hands that owned it, until its final resting place,” said Lisa Hastreiter-Lamb, the museum’s associate director and director of education. One stone’s final resting place, the Koh-i-Noor diamond, is fastened to a crown in the Tower of London and is considered part of the British Crown Jewels. The Koh-i-Noor’s first known public appearance was before 1739 on the throne of Mogul Emperor Shah Jahan. Nearly 100 years later, the King of Afghanistan exchanged the Koh-i-Noor to the Sikh Empire in exchange for asylum from his warring country. Pakistan and India have repeatedly demanded that British monarchs return the diamond, to no avail. Gentry Spronken, the museum’s director of marketing and communications, said The Mini Time Machine Museum of Miniatures was a personal passion project of founder Patricia Arnell. Arnell’s fascination for miniatures began in the 1930s and evolved into a collection. In the 1970s, Arnell looked for opportunities to showcase her personal collection and the artists and provide a unique educational experience. Arnell and her husband founded the museum as a hub of sensory exploration through history. “In some cases, these diamonds are lost to history, so the only thing that exists is the replica,” said Hastreiter-Lamb, motioning toward the full-scale replica of the Mirror of Portugal diamond. Arnell’s initial hope for a place to showcase history leaves visitors mulling over a particular question: Since humans responded to the diamonds with war, death, debt and greed, is it truly unfortunate that some gems are missing? The “Diamonds are Forever” exhibit will be on display at the museum, Tuesday through Sunday, until April 19.